Dragon Motor Racing’s Jack Perkins will sit out for the rest of the Red Rooster Sydney SuperSprint after engine difficulties in practice yesterday. Perkins told Supercars.com he noticed the engine was lacking a bit of performance in the opening Dunlop Super2 practice yesterday. “We checked over the obvious things you can check over externally and that didn’t uncover much,” Perkins said. “We went back out for another run and just knew it wasn’t running quite right. The experienced racer said the car has not met expectations this year. “The car has not being performing to our expectations this year but we have a couple of little things there to improve the car,” Perkins said. Perkins emphasised dispite the misfortune this weekend he is remaining positive for the remainder of the Super2 season. “Obviously we have entered the championship (Dunlop Super2 Series) and we are looking to keep gathering points and gaining some momentum,” Perkins said. 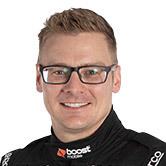 Perkins said he will be performing double duties at the Wilson Security Sandown 500 and Supercheap Auto Bathurst 1000 this year. He will be behind the wheel of James Courtney’s #22 Commodore for the PIRTEK Enduro Cup. He said after being forced out of the Dunlop Super2 races for the rest of the weekend, he will focus on helping out team-mate Renee Gracie as well as spending time with Mobil 1 HSV Racing in preparation for the enduros.